Celebrations never get complete without a piece of delightful chocolate cake. 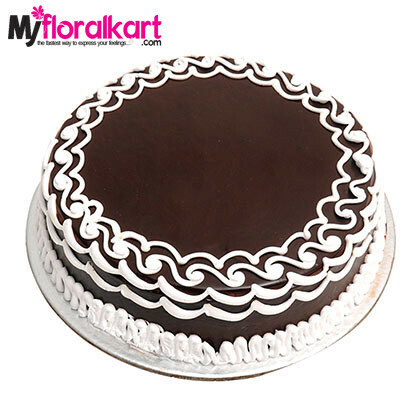 This richly designed Tasty Truffle Chocolate Cake surely is an ideal pick for the special day. Order this half kg eggless cake now.